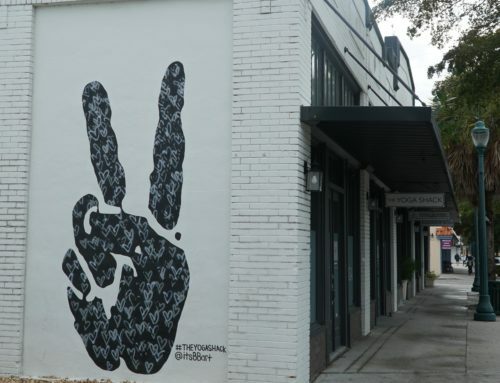 The yoga industry continues to grow year after year. Are you situated to attract more clients and increase your revenue? Can you confidently say you’re on the right track to reach your goals? This article reveals the various levels of being a yoga professional and how you can position yourself for success at any one of those stages. Knowing this, and what steps to take to continue your forward progress, can dramatically heighten your level of satisfaction along each stage of the journey. As I have mentioned before, I played soccer for many, many years. In the formative years of this sport, kids instinctively take the beehive approach and swarm the ball. As basic skills increase, players are taught positions to increase the chance of winning while minimizing the risk of counter-attacks. When I was about 10 years old, my coach positioned me in the sweeper position, which is the last line of defense before the goalkeeper. Many times during each game, my coach would yell for me to assume different positions temporarily. I’d run up to the midfield position to throw in the ball or become a forward to take a free kick after a penalty. This was exhausting and inefficient. Plus, it caused confusion among the team members as to who was responsible for what tasks. When you try to play all roles at once, despite the current position to which you’re assigned, you can become overwhelmed or frustrated. Your business could suffer, and you could burn out altogether. This post will highlight your starting point–or where you find yourself right now–and provide clear steps to grow your yoga business from there. So let’s get to it! I want to make a clear note here about positioning before moving any further into this article. Many marketing strategists will suggest that you need to differentiate yourself in the yoga industry so that you can stand out. Yet differentiation has a competitive edge to it. To differentiate, you must highlight your differences and appear separate from those in your field. Positioning is different, though. It encourages you to focus on service. 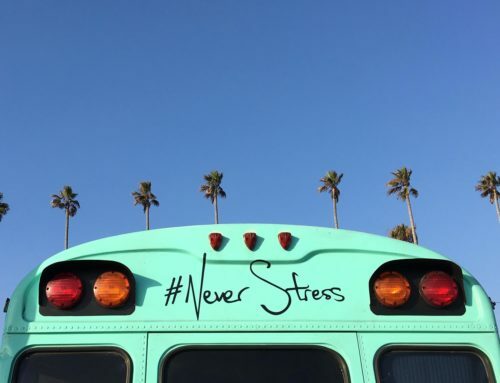 Your yoga business doesn’t have to serve everyone. In fact, that’s not even possible!! You just have to hear the requests of your community and satisfy those needs. Thus, positioning yourself for success means becoming their guide. You help students and clients sort through the noise and options available so they can find what they want. YOU’RE A YOGA TEACHER? ME, TOO! The base of the triangle represents the starting point as a yoga professional and contains the largest group of yoga teachers in the industry currently. Why is this? There are over 30,000 yoga studios in the United States alone and about 15,000 new instructors come out of training each year. The 200-hour Yoga Alliance certification is the current industry standard. Thus, if you want to increase your credibility–and possibly turn your passion for yoga into a career–you begin here. The volume of people in this category is not a bad thing. It’s just the reality of the starting line. If you think of a running race, there is a big crowd bunched together before the shotgun sounds. Then, each runner paces themselves according to their skill set and crosses the finish line often by themselves (or in a small group of other athletes). The big question for you in this category is: what are you going to do to set your pace for the long haul? You get nervous about how you will perform in front of others, and you fear your skills won’t be good enough. This could paralyze you from taking any action at all. Your ego gets insulted at low pay, smaller class numbers, and the hard work necessary to grow. This can be especially true when comparing yourself to others who have been in the industry for a longer period of time. You think a 200-hour certification is a sufficient knowledge base for a yoga professional. In reality, continued learning will better serve you and your clients over time. Celebrate your accomplishment! You set your mind on a goal and reached it!! Congratulations! Enjoy the excitement of this new path! Beginnings are important–and the vibrant energy you feel now can fuel the growth you’re seeking. Establish the basic building blocks as a yoga professional, including insurance, the proper paperwork, and an online presence. Practice, practice, practice! This means that you spend time on your mat as a student, and you continue to refine your newfound skills as a yoga teacher! Keep an additional income stream until you’re ready to go out on your own. No need to add financial pressure as you refine your skill set of becoming a yoga professional. 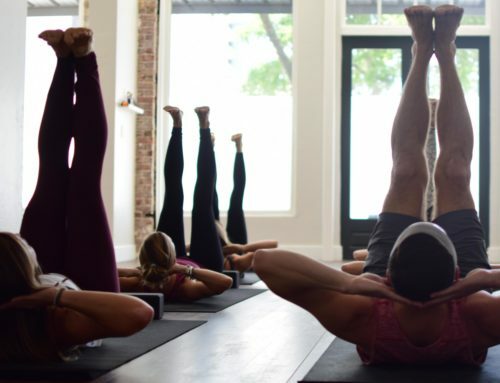 According to the Yoga Alliance standards for a 200-hour yoga teacher training course, only five of those hours are allocated to running a yoga business. That’s only 3% of your training! 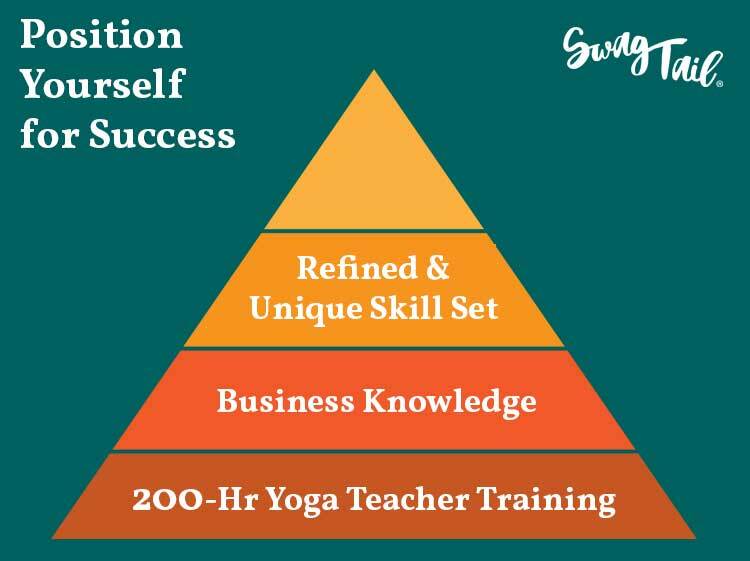 Thus, if you want to position yourself for success in the yoga industry, it’s time to hone your business skills. Take on too much too fast. This can cause you to feel overwhelmed or discouraged. Try to do it on your own. There are people and resources that can help! Get advice from people outside of yoga industry or from those who really don’t understand business at all. Fail to have a strategy to implement your knowledge. This can cause you to expend unnecessary energy or resources without making real progress. 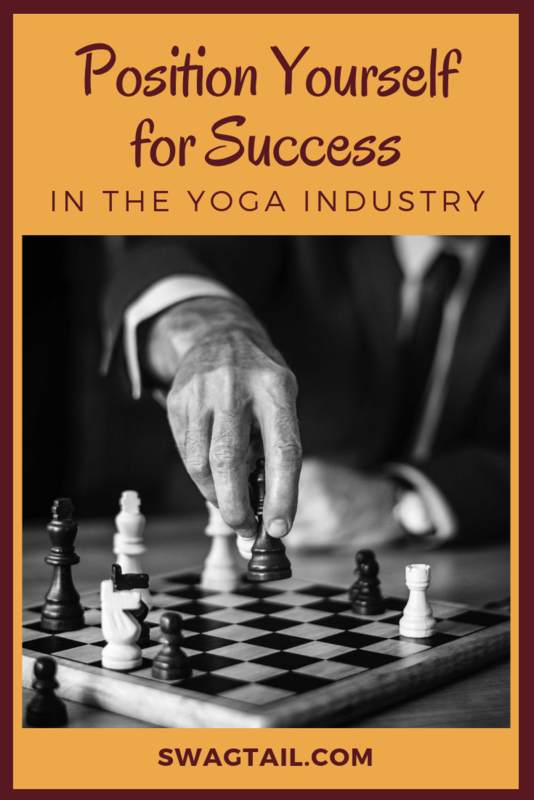 Learn from others who are succeeding in the yoga industry already, and follow their lead. Work with a credible coach or mentor. Introduce yourself to other businesses–especially wellness ones–in your area. Delegate tasks that you cannot do yourself. Select one or two ideas to implement at once, then observe the results over 4-6 months. Then be flexile to change tactics, if needed. HAVE FUN being your authentic self in each step of the learning process! You have unique interests, talents, life experiences, and worldviews. You’re a unique messenger and you can use this dynamite combination to refine your specialty in the yoga industry. This is what some may call niching-down or narrowcasting. According to Todd Henry, narrowcasting is about “delivering precise, targeted messages to a specific audience at a time of optimal effectiveness.” It’s also when you focus your attention on a more specific audience. While this might seem like you’re reaching less people, you will often find your message spreads more efficiently with your clarity. You position yourself for success as a yoga professional by refining your knowledge in unique areas. This could include topics such as anatomy, injury prevention, athletes, or yoga philosophy. You’ll know where you want to focus since your passion and curiosity will guide you. The best part is that people will start to seek you out for your specialized wisdom! Fear of critique. People might want to complain about your stance, but let them. You focus on you, and incorporate valuable feedback as it suits you. Fear of losing clients when saying “no” to some in order to better serve others. Unable to relate well to others because you only think, speak, live, and breathe your niche. Too much focus gets placed on the business sphere of your life, causing an imbalance in your personal and spiritual relationships. Tell the story of your niche in common language so that others will know how they can benefit from your knowledge. Think simple and straightforward–even if your subject is complicated. Bond with other experts who are also playing at this level of the game. This will help you refine your business with a slightly different audience. Share your story of success to inspire others. Instead of alienating yourself from those at different levels, show them the way that is possible for them to grow–and thrive–as well. The peak of the pyramid is reserved for the best in the industry. This is where you have combined your experience, training, business acumen, and specialties into a league of your own. You stand out. You draw a crowd. Your yoga business has enough momentum to carry itself forward and people definitely seek you out for your knowledge. People also admire your contribution to the industry. The work you do, and who you are, make people say “Oooohhh, Aahhhh!” You are the teacher of teachers and a person of great influence in the yoga world. You might even travel the world spreading your message and uplifting others. Or, you might just be at the top of your game in your community. We live in a digital era where celebrity status often equates to achievement. Yet, you can position yourself for success in your town or state alone. You might not headline a Wanderlust event, but you’re making a big impact with your niche (and often receiving great remuneration for that contribution as well). Your ego thinks you better than others at lower stages. Since power and fame can accompany this stage, it can be easy to experience the asmitā-kleśa (or distorted sense of self). You fail to provide great service because people will come anyway. This is complacency at its finest. Your teaching becomes redundant–you’re giving people what they want, but are becoming stagnant in the process. Keep evolving yourself, and bring these new messages to your audience. They’re already fans and will love to stay on the cutting edge with you. Refine your business strategies yet again to serve your growing tribe efficiently. Share your story to motivate yoga teachers at every level of the industry. Market your success. This could take the form of books, new programs, a foundation. In this stage, you can leverage your name and business to make an even greater impact on the world. Focus on serving others. This is the foundation of a successful position in the market. Appreciate your clients. Thank you’s always go a LONG way! Next week, join us as we discuss how to facilitate a memorable yoga experience. Plus, we’ll share one of our favorite class themes–how slowing down can actually amplify your power! To stay on top of the latest posts and updates at Swagtail, subscribe to our weekly newsletter.